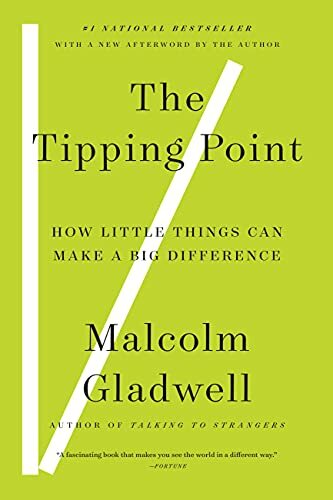 by Malcolm Gladwell | Professional & Technical | This book has not been rated. Recommended by Daniel Quinn. Undoubtedly valuable. Looking forward to it! It arrived today in a box full of gems. This is a very interesting theory. How little things can make a big difference. With analogies in public health, criminality, smoking, fashion trends and historical events. I think I need to read this book again, with one thought in mind: how to translate this theory for the revolution we need: the changing of minds when it comes to the natural world and our place in it. A revolution in thinking, needed for humankind's survival ( and that of a great many other species as well). I will look into this site www.gladwell.com. After all, it was Daniel Quinn who encouraged me to read this book.